The most precious diamond England had before usurping the Koh-i-Noor from India was none other than William Shakespeare. But the legendary bard, unlike his avaricious countrymen, himself never coveted stones and riches. What he longed for was content, a pleasure which only a man with a heart and passions could enjoy. Needless to say, if Winston Churchill had 0.1 per cent of the writer’s virtues, the world would have been a far better place. 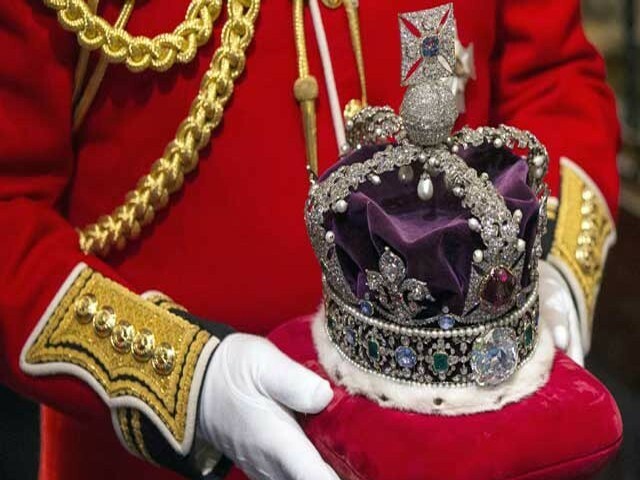 India has been urging its former colonial master, Britain, for decades to return the Koh-i-Noor diamond to the country it was taken from. It seems my Pakistanis brothers have also, at last, realised that they were also subjected to the British rule for 200 years. The Lahore High Court has agreed to hear a petition asking Queen Elizabeth II to return the precious stone more than 150 years after it was surrendered by a young Sikh prince to the island nation following their conquest of the Punjab in 1849. I wish Pakistanis all the very best in this regard and I hope they succeed in making the British do the right thing, a task in which we have been rather unsuccessful in doing so far. The former colonialists do not turn a hair. For 200 years Britain plundered and tormented India to the hilt, to the extent that the word ‘loot’ has become a part of their dictionaries. Why, at the beginning of the 18th century when the East India Company treacherously set its foot in India, the ancient country’s share of the world economy was 23 per cent and by the time they bid farewell to their slaves in 1947, it had dropped to less than four per cent. India’s first Prime Minister Jawaharlal Nehru – who in my view was in a class of his own – wrote in his book The Discovery of India – how Britain’s so-called ‘Industrial Revolution’ was a result of the deindustrialisation of India. They destroyed the flourishing business of Indian textiles so that their people could manufacture goods using Indian raw materials and export finished products back to the Colony and the rest of the world. In this manner, according to Congress leader Shashi Tharoor, India became the biggest importer of British finished products instead of being a great exporter, which it once was. Today, my mind also dwells upon the tragic famine that struck Bengal in 1943-44. It was not a natural famine. It happened after Churchill inhumanly ordered the diversion of food from dying Indians to stout British soldiers and the well-fed European stockpiles. “The starvation of anyway underfed Bengalis is less serious than that of sturdy Greeks,” Churchill is said to have argued. Nehru in The Discovery of India cites a scientific survey conducted by Calcutta University in the famine areas, according to which as many as 34,00,000 people died due to the famine in Bengal alone. For the British though, it was a ‘normal occurrence’. However, the biggest reason I bear the British a grudge is a diabolic role they played in the partition of India. It all started in 1857 when Hindus and Muslims together fought the first war of independence to overthrow the British Raj. The colonialists somehow managed to crush the rebellion which could have rightly ended their Indian adventure then and there, realising that in order to rule Indians it was necessary to divide them along the lines of caste, creed and above all, religion. I do not by any means suggest that differences did not exist between Hindus and Muslims, but they were not insurmountable, for after all we were all sons and daughters of the same soil. The British began playing mind games, pitting Hindus against Muslims and vice versa. By appearing to favour one community over another, they sowed the seeds of discord and enmity amongst us. It was not a coincidence that most of the well-paying government jobs went to Hindus by virtue of their good English skills. Whenever communal riots – fomented by them – broke out in our cities and towns, the British administration would remain a mute spectator like Modi was in Gujarat in 2002 or Shahid Suhrawardy during the ‘Great Calcutta Killings’ in 1946 or Rajiv Gandhi in 1984. They did not make any attempts nor did they allow us to bridge our differences. They kept India’s communal pot boiling to carry out their nefarious designs. Even today, ladies and gentlemen, these forces are not letting us make peace, turning us into a big market for their arms industries. The millions of poor people are being compelled to carry on with their wretched lives even after 68 years of our so-called independence. They can’t eat bullets and missiles, can they? For the sake of world peace and their own, our former rulers should apologise for the blunder of Himalayan magnitude and the biggest crime against humanity they committed in 1947 by dividing the people who once lived cheek by jowl. All the perfumes in Arabia cannot wash away thy sins, Britain. Not even Koh-i-Noor! Do you think colonialism ruined Pakistan and India? What an absolute waste of time and resources. Nothing will be returned – and both Pakistan and India know it. Anyway, what is this article trying to prove? Is the British Empire responsible for the state of India and Pakistan today? What stopped both nations from repairing relations between each other? What stopped both nations to righting the ‘wrongs’ done to us by the British? Why do India and Pakistan have 22% and 16% respectively of its people living below the poverty line as defined by the UN – and even more if we were to objectively define poverty? What stopped the two countries from developing infrastructure? We have had 70 years of independence. Even if we were to give 25 years to getting back on our feet, what stopped us from at least graduating to a brisk walk, if not a jog or sprint? Instead, both of us are still crawling. Yes, British colonialism robbed us of a lot. Everything the author said about the colonial rule is true – and more. But let us not forget that the Brits gave us a lot too. They gave us a geography. Neither India nor Pakistan existed as states – it is the British who gave us a sense of unified identity. Also, a codified set of laws, infrastructure, ban on social ills – and most important of all, English. I’m no apologist for the British – but I certainly realise that if the British had not colonised us, it would have been the French or Dutch or Portuguese – and that, my friends, would have been far worse! We could not have withstood some form of colonisation as we were weak militarily and fragmented. Moguls and previous Muslim and Hindu rulers of India failed to start a single education institute one of the reasons that we missed Industrial Revolution. Oxford university existed in early 12th century, Harvard University a private Ivy League research university in USA established in 1636, Yale in 1700, Stanford in 1840. Now refer to History and see what Indians and their rulers were doing in 11th century, 1600 , 1700 and 1800 AD. They were building Building Mausoleum for their wives, Forts and graves with tax payers money. Have you heard of 40 yr Opium wars imposed by Anglos on China? Have you heard of Nalanda, Takshshila & Gurukul system of educating the masses. Gurukuls in Indian DNA produces https://en.wikipedia.org/wiki/Srinivasa_Ramanujan even Jagdish Chandra Bose. But after independence and colonialized or MacauLaid Indian mind has stopped producing C.V Ramans or even Karmarkars. The title itself is so so so wrong …. I was a music festival in New Plymouth NZ where, an Indian host, when introducing Faiz Ali Faiz (qawwali singer) couldn’t resist blurting that Pakistan only exists because of some ‘mistake’ by the British. If that’s the case, the British also gave India independence by the same mistake. These statements trivialise the genuine and enlightened struggle of the Muslim leaders of the sub continent in the 19th and 20th centuries. Both Pakistan and especially INDIA exist because of British rule. I should remind you that prior to the British, India, as a modern day monolithic political entity NEVER existed at any point in history. Prior to the british it had all been a series of empires, princely states and other kingdoms each with it’s own language, customs and history. Even today these divisions exists across the entire subcontinent if you go North to South or East to West. The British did something that no one before had done. They united what is today India and Pakistan into one single political entity. Out of a 100 years of British rule, a sense of political consciousness arose among the Indian elite that led for cries for “indian” independence (and later Pakistan). This sense of common “indian” identity had never existed at any point in time before and in an ironic way unified opposition to the British helped create it. Even the name of the subcontinent as “India” was not unanimously agreed upon prior to British rule. The esteemed, well informed author has written an article par excellence. With all due respect, your long, meandering, hiccuping, rant is abysmal. The British or any colonists had one goal in mind. Priority ONE. THEMSELVES. very distance second. There are more things to worry about than Koh i noor. The Mughals did not conquer one unified country, or Bharat or Hindustan. They defeated and conquered 20 to 25 Princely States. Perhaps more! As they say, there are more than 3,000 languages spoken in Hindustan. So, can anyone communicate with anyone in Hindustan? Doubt it very much. Now after 68 years why are things still crawling along? On both sides. Right… Pakistan has no claim over Bangladesh and India has no claim over Lahore (the resting place of the Koh-I-noor. That, basically, has to do with Hindustan’s inferiority complex/. over this long long period.They, the Hindus, simply went along meekly. to get rid of the British. Long before the Mahatmaji arrived on the scene. [Current Pakistan] were never fully controlled by the Raj. 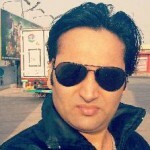 Well India is not ruined, it’s prospering, in transition. Just to add, there was a time when people with leftist leanings were still patriots, nowadays, fighting the right means since they love the country the leftists must hate. Look at the likes of D Raja and Sitaram Yechury and the position they have taken on JNU issue. These guys have eked out their careers bad mouthing India while keeping numb on the Chinese.